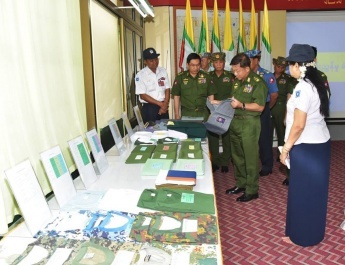 The Tatmadaw will safeguard the State sovereignty and lives and property of the national races without fail within the framework of the codes of conduct, rules and laws, said Commander-in-Chief of Defence Services Senior General Min Aung Hlaing at his meeting with H.E. General Ngo Xuan Lich, Minister of Defence, of the Socialist Republic of Vietnam at Zeyathiri Parlour here this morning. First, Senior General Min Aung Hlaing accorded a guard-of-honour welcome to General Ngo Xuan Lich in front of Zeyathiri Villa. After taking the salute of the Guard of Honour , the Senior General and the SRV Minister inspected it, followed by the bilateral introduction of senior military officers between the two sides. Also present at the ceremony together with the Senior General were Deputy Commander-in-Chief of Defence Services Commander-in-Chief (Army) Vice-Senior General Soe Win and senior military officers of the Office of the Commander-in-Chief. The SRV Defence Minister was accompanied by Deputy Chief of the General Staff of the Vietnam People’s Army (VPA) Sr.Lt.Gen. 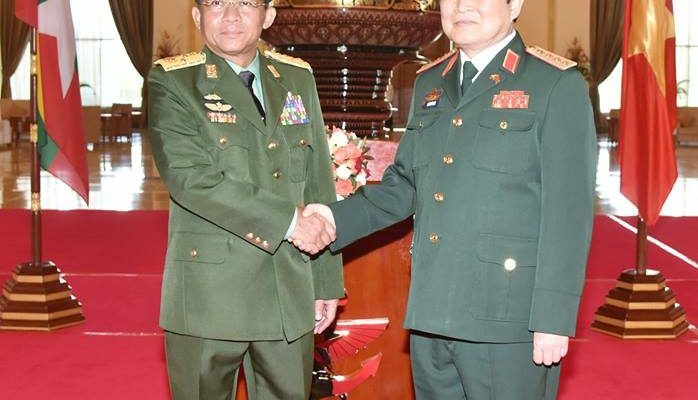 Nguyen Phuong Nam, senior military officers and SRV Military Attaché to Myanmar Col. Nguyen Duc Giang. After signing the visitors’ book in Zeyathiri Parlour, H.E.General Ngo Xuan Lich held talks with Senior General Min Aung Hlaing at the parlour. 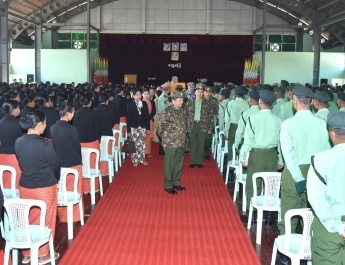 At the call, the Senior General said Myanmar valued relations between Myanmar and Vietnam and the two armed forces of both countries as the two countries had a long history of friendly relations. Amity and friendship remained unchanged although Myanmar changed its political system. 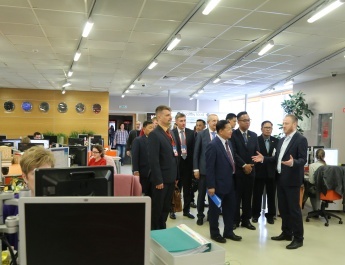 The Vietnamese defence minister’s tour was a new step towards further strengthening amity and friendship between the two countries and the armed forces. With regard to Myanmar’s reforms, the Senior General said Myanmar Socialist Programme Party Government exercised the socialist system from 1974 to 1988. The country shifted to the people-elected multi-party democracy system in 2011. The Tatmadaw was working to ensure the political system on the right track smoothly and steadily, with the main focus on stability in term of politics and security. It was working on the peace-making process in order to end ethnic armed conflicts. The country had eight major ethnics groups and about 135 ethnics. Myanmar was said to be a country with a wide variety of ethnics and armed ethnic groups. Making negotiations with those groups for peace-making was difficult as they had different backgrounds. Currently, eight groups had signed the NCA. He believed that the remaining groups would be on the peace path if they had burning desires to make peace. Regarding Rakhine affairs, the Senior General said the current conflict in northern Rakhine State occurred due to Bengalis who had long been present under various circumstances before the country regained independence. The region saw the increasing number of population as the British brought the people from Bengal to the region in the colonial era. In the past, indigenous people were in majority in Buthidaung and Maungtaw regions and Bengalis were in minority. Bengali population had increased after they killed and attacked indigenous people in 1942. Now the majority population was Bengalis and the minority, indigenous people. In the incident of 15 August, about 4,000 Bengali terrorists attacked 30 police posts and an army base. Most of the police outposts had only about 10 to 20 police each. Some might have more strength. However, a police post had to confront around 200, 300 or 500 terrorists. If security forces counter-attacked severely with weapons, a lot more terrorists than now would have died. The problem has surfaced not because of religious conflict but because of instigation after those who had entered our country did not accept the action done in line with the country’s existing law. Regarding the fleeing Bengalis, it could be possible that they have fled to more secure places where the same tribes as theirs are living as they feel unsecure about their brutal killing of minority natives and Hindus. The issue would be addressed by the government in accord with the law, said the Senior General. The Vietnamese minister said the two countries have had long friendly relations. The hospitality towards his visit proves the unity and amity between the armed forces of the two countries. Vietnam respects relations with ASEAN member countries, especially deeper relations with Myanmar. His current visit would further promote mutual amicability and cooperation. He then continued to discuss Vietnam’s chairmanship of ASEAN in 2020, holding of ADMM+ meetings as of 2018, state peace and stability and defence building, cooperation in internal affairs, peace affairs and poverty alleviation tasks, experience of Vietnam which faced the conditions similar to that of Myanmar in the past, and overcoming these challenges through concerted efforts of the government, the Tatmadaw and the people. 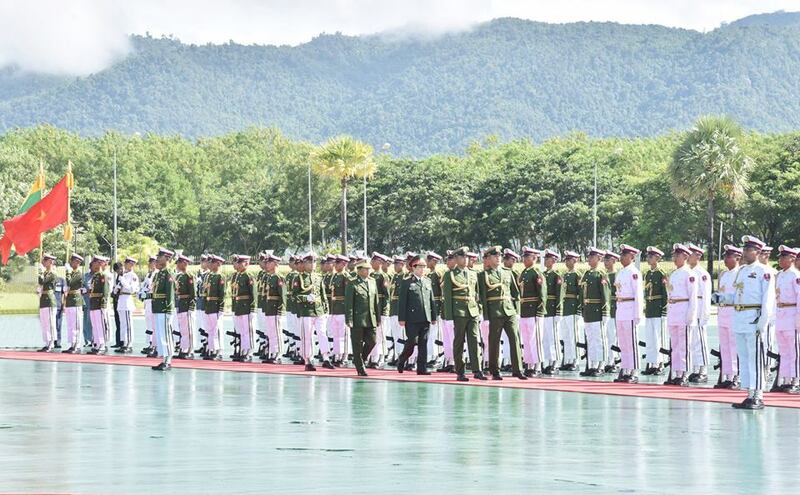 The visiting Vietnamese Minister expressed his hope that Myanmar Tatmadaw will successfully discharge the duty assigned by the State and the people to overcome the current problems. 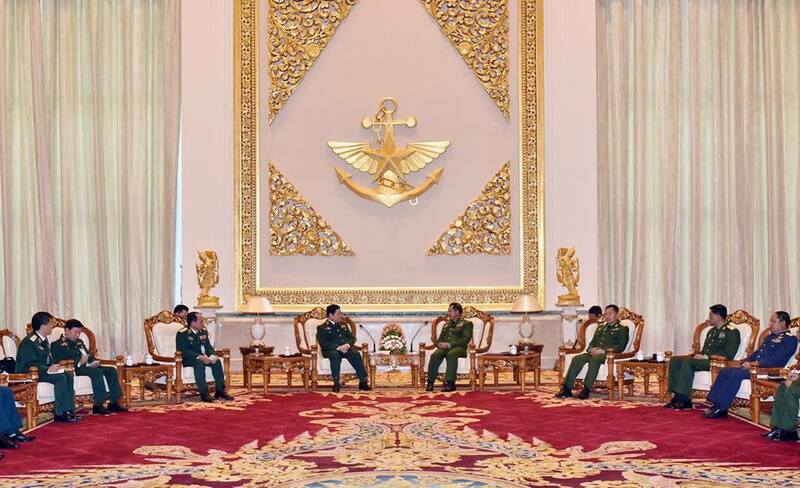 With regard to promotion of cooperation between the two armed forces of the two countries, they cordially exchanged views on exchange of high level Tatmadaw goodwill delegations, holding meetings and discussions between junior officers, sending of good-will visits of Tatmadaw (Navy), cooperation in training affairs, conducting medical researches, promotion of cooperation in medical treatment, exchange of culture and sports teams, exchange of intelligence information for regional security and prevention of terrorism in international community, exchange of experience through meetings on border region management, enhancement of cooperation between ministries of Defence, and beefing up communication sector between the armed forces of the two nations on a wider scale. After the meeting, the Senior General and the Vietnamese Minister of Defence posed for documentary photo after exchanging commemorative gifts. Senior General Min Aung Hlaing paid a goodwill visit to the Socialist Republic of Vietnam in March 2017 at the invitation of Vietnamese Minister of Defence H.E. General Ngo Xuan Lich. 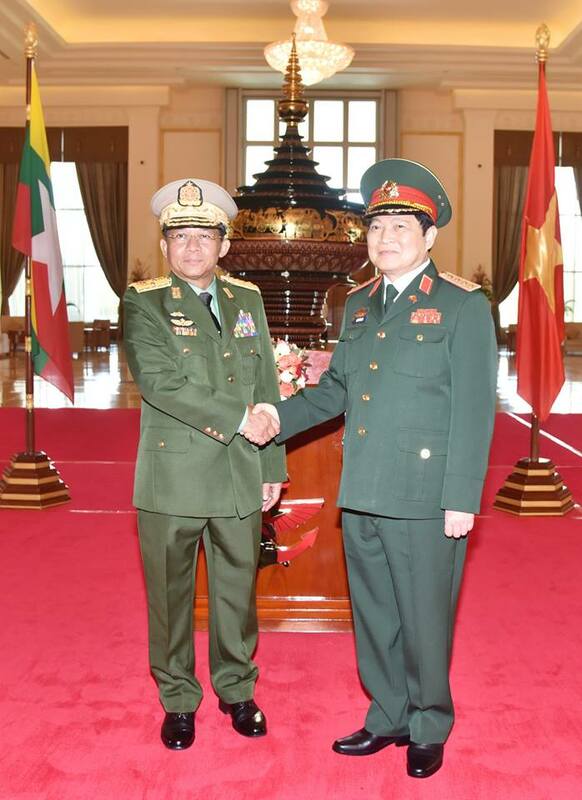 According to the invitation of the Senior General during his visit to Vietnam, General Ngo Xuan Lich pays a goodwill visit to the Republic of the Union of Myanmar.